Alternative Medicine Plus Chiropractic Care. Pharmacy, Vision, Dental, Diabetic Supplies, Hearing Aids, Teladoc, Durable Medical Equipment, Lab Testing, MRI & CT Scans, Physician & Hospital Discounts. Need to talk it out? Let experienced counselors help solve personal problems 24/7. Discuss everything from depression, anxiety and stress, to struggles with family. Everyday help for everyday living. Savings up to 85% at over 60,000 pharmacies. This is a free program, which may be used with or without an identification card. On-demand healthcare—wherever, whenever convenient for you. 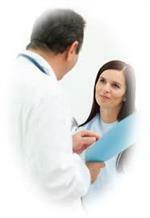 Consultations and treatment for common medical issues. 10 minute average doctor response time. No per vist co-pay. Your eyes are the windows to your health. Now you and your family can see better savings at over 20,000 vision providers nationwide, including national chains and local retailers. Save 10% to 60% on glasses, contacts, laser surgery and exams! Nearly Two Decades Ago We Set Out To Find A Healthcare Funding Metric That Discounts Healthcare Costs To The Consumer In The Same Manner It Does The Insurer - We Have Finally Found It, And You Benefit By Receiving A Return Of The Network Negotiated Rate Direct To Your Wallet - Key Health Care . . . Your Key To Healthcare Savings Has Arrived!